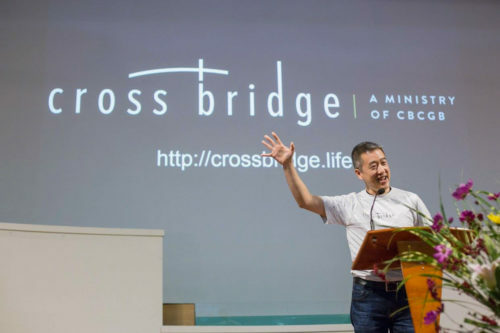 Located just outside of Boston, Cross Bridge is a multicultural Christian congregation and ministry that is a part of a larger church body. 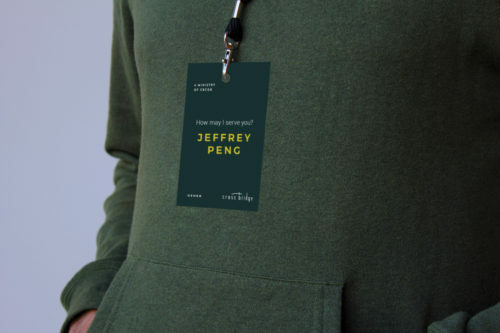 Yuling Designs unveiled fresh new branding and print materials in an effort to help visually define and distinguish the ministry. Cross Bridge’s new look features clean and refined typography and provides a modern face lift. The swooping cross detail that connects the two words adds playful movement and dimension, and extending the stems of some of the lettering infuses the customized logotype with height and character. Inspired by colors found in nature, Yuling Designs selected a calming branding palette of deep teal, antique bronze, sea glass green, and smokey grey paired with neutrals. In addition to re-imaginging Cross Bridge’s logo, Yuling also developed updated print materials including a Sunday Church Bulletin, Name Badges, a Welcome Banner, and a Tri-Fold Welcome pamphlet for newcomers. 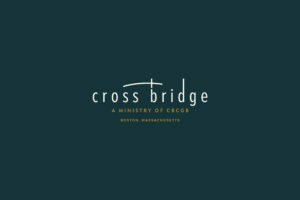 Cross Bridge’s sophisticated new identity provides a clear and welcoming presence to old and new parishioners alike.